Hello My Friend and Welcome. 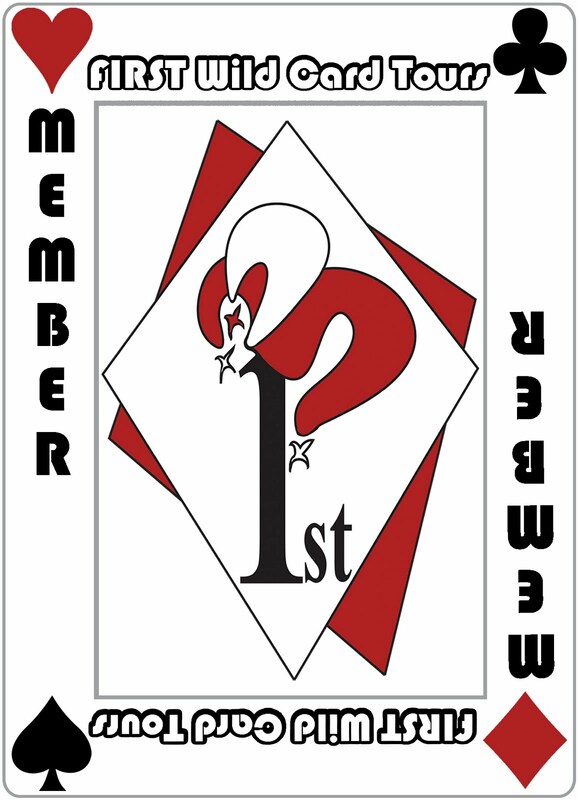 Tracy started her first novel at the age of eight and has been hooked on writing ever since. After attending Philadelphia Biblical University, she earned a B.A. in English Literature at Rowan University. She then spent ten years writing drama presentations for church ministry. A lifelong interest in history and mythology has led Tracy to extensive research into ancient Greece, Egypt and Rome, and shaped her desire to shine the light of the gospel into the cultures of the past. She has traveled through Greece, Turkey, Egypt, Israel, Jordan and Italy to research her novels, and looks forward to more travel as the series continues. The streets of Rome lay barren and empty, sucked dry by the colossal Flavian Amphitheatre that had swallowed seventy-five thousand Roman citizens in a single gulp, and would hold each one captive until they had enjoyed the horrors that Julian now raced to prevent. More time. He needed more time. Already the crowd inside the four-story rim of stone cheered for the first event. Julian’s sandals smacked the black basalt road that led toward the amphitheatre. The blistering Roman sun pounded the moisture from his skin and left him panting. He had run most of way, since an old servant in Vita’s house had pointed a gnarled finger toward the east, toward the Forum, toward the arena of death. Eighty arches ringed the outside of the theatre on each of its first three stories. The bottom arches provided access to the public, and the second story’s niches held statues of the gods and emperors, who now looked down on Julian as he sprinted across the large travertine slabs that paved the arena’s edge. He ran toward one of the four main entrances and fumbled for the tessera, the stone tile he wore around his neck. The designatores at the entrance would insist on examining it, to see the sector, row and seat to which he was assigned. Indeed, the usher at this entrance was full of his own importance, and held a palm to Julian’s oncoming rush as though he could stop him with only the force of his arm. “Too long in your bed this morning, eh?” His smug smile took in Julian’s hastily-wrapped toga and sweat-dampened hair. Still the amused smile. The usher opened his mouth to speak again. Daunted, the man let his eyes travel over the tile, then took a tiny breath and stepped back. His grin faded to a look of regret over his own impudence, and he bowed his head. As if that were not enough, he bowed at the waist and extended a hand to invite Julian to enter. Julian did not wait for an apology. He pushed past the usher and under the vaulted entrance, then straight through the arena’s outer corridor and up a ramp that led to the cavea, the wedge-shaped sections of marble seats. This main entrance led directly to the central boxes reserved for the elite. He exploded from the dimly lit ramp onto the terrace. The morning sun slashed across half the seats, the height of the amphitheatre leaving the other half in shade. The red canvas velarium, the awning used to shade the spectators, would be raised before it got much hotter, but for now, thousands of bleached togas on white marble blinded the eye and the smell of the masses assaulted the nose. Julian crossed the terrace in two strides, slammed against the waist-high wall that separated him from the arena, and saw a figure dash at him from the shadows. His mother’s hands were on his arms in an instant. “Julian, what are you doing?” Her words were frantic, as clipped and terror-filled as his every movement. Betrothed. The word washed more guilt over Julian’s stricken soul. Julian straightened at once, resuming the noble bearing trained into him since childhood, and returned the man’s grip. He nodded once in agreement, but did not speak. The senator moved on, and Julian dropped his shoulders, ashamed that he had not made a statement. Ariella’s nostrils flared, but she said nothing. Turning from her, Julian stalked to the nearest break in the seating and ascended the tiers alongside his father’s section. Here, the nobility did not sit on wooden planks as the rest of the citizens, but were given cushions or even chairs for comfort. He scanned the rows of seats for his father’s graying head, and instead met his dark gray eyes. Julian shook his head and opened his mouth to shout across the intervening seats, but his father held up a hand, then stood and excused himself from his colleagues. He slid along in front of a dozen other senators, and emerged at the end of the row beside Julian. But his father’s eyes held only grief, not anger. Not the fiery anger that could change the future, even now. Julian pushed past him, down the steps. If his parents would do nothing from their positions of influence, then he would stop this madness from a position of strength. It had been his fault, all of it. Trajan had made his stance clear. As long as they kept to themselves, did not flaunt their disagreement with imperial policy, did not take a public stand, they would be left alone. But that had not been enough for Julian. Passionate about the truth, eager to show himself a leader and foolish enough to believe himself invincible, he had spoken too loudly, in too many places. And now this. Vita and the others arrested, convicted, and sentenced without his knowledge. Julian had brought this on them all, but he had escaped their fate. At the terrace level he circled the arena toward the imperial box. The amphitheatre was one of the few places where the public had access to the divine emperor. Julian grasped at the thin hope that he could get near enough to plead for Vita’s life. He had not loved her. Not like he should, though he had tried. He had never known a more virtuous woman. The arranged match between them was a good one. But Julian had never felt more than the flame of admiration and respect for her, and he saw nothing but the same in her eyes. Still, they would have been married. The foot-stomps of the crowd rose around him like a hundred thousand drumbeats. The cadence resonated in his chest and pushed him forward. He knew that sound. It was the sound of a mob hungry for blood. Terror drove his footsteps. He could not look to the arena. Not even when he heard more trapdoors rise and the low growl of beasts begin. The crowd screamed as one, and their shouts lifted to the pale blue sky like a puff of evil smoke from the underworld. Julian’s bones seemed to turn to water. He raced on. The emperor’s raised box was in sight. But then they were beside him again, both his parents this time, grasping at his arms, pulling him backward. “It is too late, son.” His mother’s voice held the grief of both the present and the past, for she had seen much sorrow in the arena in her day. He let his parents hold him there at the marble wall. He scraped his hands across the top, then gripped the white stone. Lions. Six of them. Circling, circling the knot of friends in the center of the bright yellow sand that had been brought from one of the hills of Rome and spread on wooden planking to soak up the blood of gladiator, beast, and the condemned. The lions charged at once, but for Julian, the moment stretched out, like a thread of silk spun from a slow-turning wheel, and though the crowd still bellowed, in his head all had gone silent and he saw only his group of friends, crumpling in on themselves like sand flowing into a sinkhole. The lions must have roared before they pounced, though Julian heard nothing, and felt only the relentless scraping of his own hands across the stone wall. He scraped until his hands were torn and bloody, wanting to bleed with her, wanting to bleed with all of them, as he should have. The sun had risen to pour its rays into the center of the arena, and the yellow sand beneath them turned to molten gold in the light, an oval of liquid gold with Vita and the others drowning in the center of it. He saw her face for a moment, lifted to heaven. His mind disconnected and drifted strangely, then, to the words at the end of the Apostle John’s Revelation, and his vision of the New Jerusalem with its streets of pure gold. Would Vita fall asleep in this golden sand and wake to streets of gold? The beasts did their job well and quickly, and when it was over and the mutilated bodies of his friends lay scattered across the sand, Julian woke from his stupor and felt the guilt of every lost life bear down on him as though the stones around him had collapsed on his head. He tasted bile rising in his throat, and turned away from the wall to retch onto the paving stones. His parents held his arms as he emptied the contents of his stomach. He heard the jeers directed toward him. When he stood, the tear-streaked faces of both his parents matched his own. But he found no solace in their shared grief. They did not have to bear the guilt of it as he did. As he always would. He pulled from their embrace and escaped the amphitheatre, running back the way he had come, running like a haunted man. Days later, when his guilt and grief had hardened into bitter anger, he tried once again to change the minds and policies of the Roman government. But in the end he brought only more disgrace, and more danger, upon his family. In the cool of the evening three days after Vita’s death, he stood at the terrace wall of his father’s lavish villa in the Roman countryside, looking down into the flowered gardens his mother had commissioned, and listening to the fountain that trickled night and day into the central pool. He inhaled deeply of the night air, dragging in the scent of roses. His guilt over Vita’s death had not abated, and he had added to it with his actions in the days since. His brazen words in the Senate House, and later the Forum, had identified him as one who should have also met his death in the arena that day. Perhaps that was his wish. To be arrested himself, to be thrown before the gaping yaw of a dozen lions, to be given what he deserved. But his family. He had not wanted the same for his family. His only brother, long since stationed in some military outpost, had never embraced the family’s beliefs, but even he could be reached by the long arm of the empire, and brought back to face condemnation with the rest. Behind him, slaves stirred to prepare the evening meal and lit torches on the veranda. His parents would appear soon and they would all pretend that their privileged life continued. But Julian had made a decision. His life in Rome was over. To protect his family, he must disappear. He thought of his brother’s stories of the provinces that lay at the edges of the Empire. Of Britannia, of Judea. But even there the Roman army could search out a man. No, he must go further east than even Judea. There was a place, a hidden city he had heard tales of since he was a boy. Stories that had sparked his imagination and given him the desire to travel across the desert sand to discover the city tucked between the rock cliffs of Arabia. Petra. Capital of the Nabatean kingdom, wealthy center of the east-west trade route, and beyond even the Roman Empire’s reach. Julian rubbed his hands together, palms still raw from being torn open the day Vita died. Yes, it was a good plan. He would flee to Petra. There are some books that as soon as you hear about them you know you have to read them. 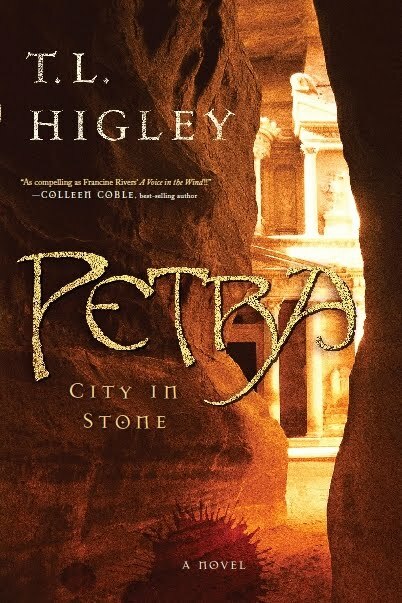 For me, Petra City in Stone was such a book. I freely admit that one of the primary reasons for this was my own knowledge of ancient Petra based on research I did for my Seeds of Christianity™ Series. Ms. Higley positions her story at a pivotal point in Middle Eastern history, the year 106 AD when Rome annexed the Nabatean Empire. Less than 40 years earlier the Romans sacked Jerusalem, destroying the Temple. Thirty years into the future, the third and final Jewish war, the bar Kokhba Revolt, would be fought. Meanwhile, having weathered persecutions under both Nero and Domitian, the early Christians now face yet another one under Roman Emperor Trajan. All of the apostles have died. Their disciples, the second generation of leadership, have grown old. On whose shoulder will the mantle of leadership rest? Enter Julian, a reluctant hero who’s come to Petra not to lead, but to hide, and Cassia, a pagan woman who came seeking a better life for her son. Fate, or was it the hand of God, throws them together in this thoroughly enjoyable tale of political intrigue, faith, and redemption. Ms. Higley’s fine writing, attention to detail and strong characterization breathes life into this ancient city of stone. Untilt he next time, Shalom Aleichem!